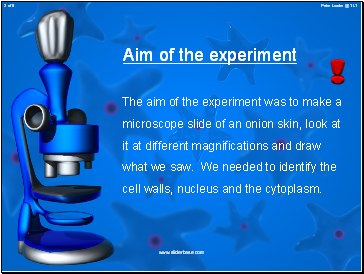 The aim of the experiment was to make a microscope slide of an onion skin, look at it at different magnifications and draw what we saw. We needed to identify the cell walls, nucleus and the cytoplasm. 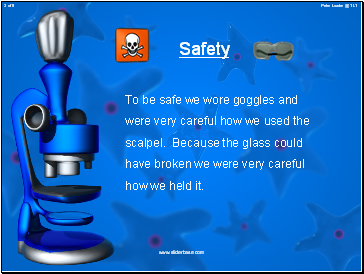 To be safe we wore goggles and were very careful how we used the scalpel. Because the glass could have broken we were very careful how we held it. 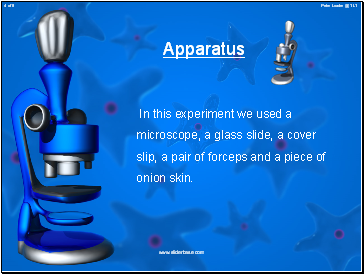 In this experiment we used a microscope, a glass slide, a cover slip, a pair of forceps and a piece of onion skin. We cut open an onion and took a piece of very thin skin. We placed this onto the middle of a microscope slide. Then we put a thin piece of glass called a cover slip on top of the onion skin and gently pressed it flat. 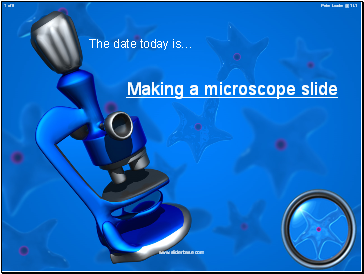 After that we put the slide under a microscope with the lens set at low magnification. We turned the focus dial until we could clearly see the skin. We used a pencil to draw what we saw and labelled it with the magnification. 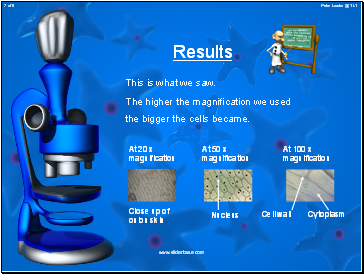 The higher the magnification we used the bigger the cells became. 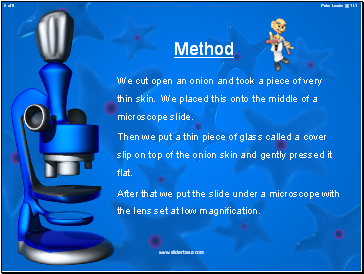 The microscope let us see the onion skin at different magnifications. At x 20 magnification it still looked quite far away but we could see some cells. At x 50 magnification we could see the cells clearly. 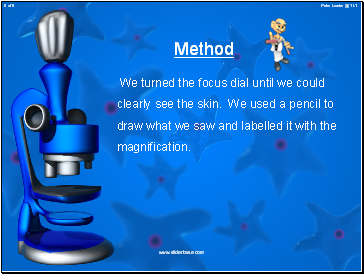 At x 100 magnification we could see individual cells, and the cell walls containing the cytoplasm.